Now you see it, now you don’t – Panasonic is going to bring you a swanky transparent TV! 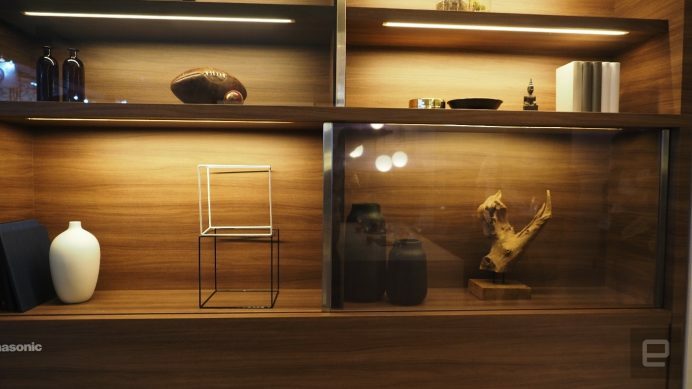 | Now you see it, now you don’t – Panasonic is going to bring you a swanky transparent TV! Now you see it, now you don’t – Panasonic is going to bring you a swanky transparent TV! Gone are the days when the humble television was just a box of sporadic entertainment. To cater to an ever-evolving, dynamic and of course, technology-hungry customer base, television manufacturers are continually re-thinking, innovating and creating – and yes, the ‘idiot box’ is no longer true to that alias. TV technology has come a long way indeed, and the latest in the game is a new prototype television that you won’t even know is there, if you don’t look hard enough! Electronics darling Panasonic brings you a brand-new swanky TV concept model that gives you crystal clear and remarkably brighter image compared to regular TVs. 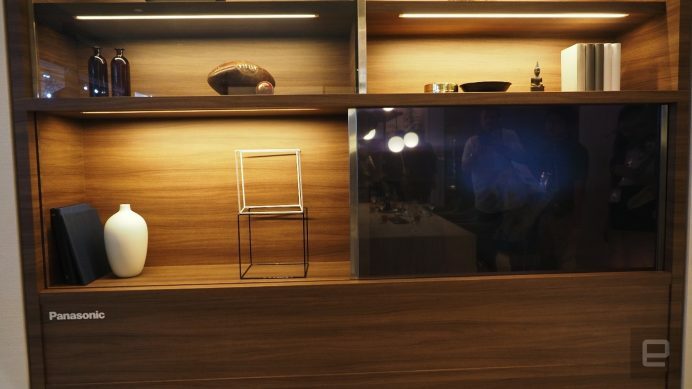 The recent ‘transparent’ television concept has been elevated one step further by Panasonic, as the brand has improved image quality to such an extent that you feel like the TV is an in-built part of your furniture’s glass pane. Here’s how. 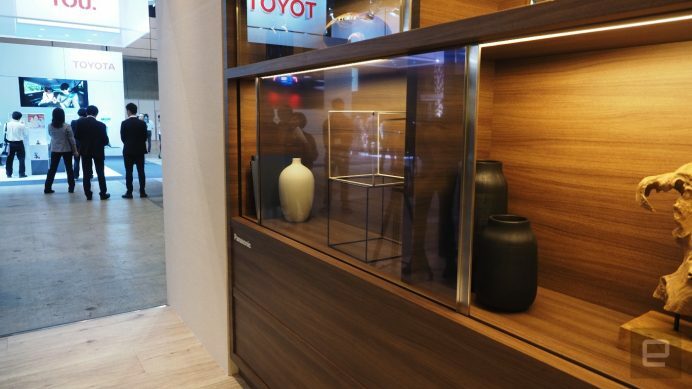 The screen leverages the highly-efficient organic light-emitting diode, popularly known as OLED technology, and is manufactured from a fine mesh, embedded in a sliding glass door of a cabinet or other similar furniture. Although you can see the TV image whenever the backlighting is on, once you dim the light, the image becomes so clear, i.e. transparent, that it becomes almost invisible. This is a cutting-edge upgrade from previous similar TV models that were a lot dimmer and under-shelf lighting was a must to enhance the image. However, with this new prototype TV Panasonic is working on, once you turn off the television panel, you will not even know that the television is there. Undoubtedly a fascinating concept for a television, but the wait is not over yet. Panasonic says that this ‘transparent’ TV is likely to remain in development for a little more time – three years being the minimum. Once launched, we predict that this uber cool new-age television will take TV markets by storm, as it will not only uplift the entire “television” experience to a whole new level, but will also serve as a smashing stand out in your home or workplace – wherever you choose to flaunt it!